The full moon appears very bright in part because the spherical glass beads in the moondust reflect much of the sun's light back toward the sun (and the Earth). 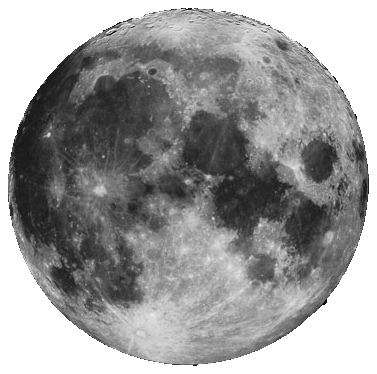 The third full moon in a season with four full moons is called a blue moon. The moon will be full for another 2 days and 6 hours. © 2009-2019 Symbolcraft LLC. Legal Notice. Contact Us.